Without a doubt, the second season of Supergirl certainly gave us a lot to remember. Not only did we get to see Kara Zor-El interact with the Arrowverse, but we also finally met her cousin in Superman, played to perfection by Tyler Hoechlin. As for the constants that have remained for the series, David Harewood’s take on J’onn J’onzz/Martian Manhunter has delighted many fans and, to be completely honest, has become my favorite character on the show. 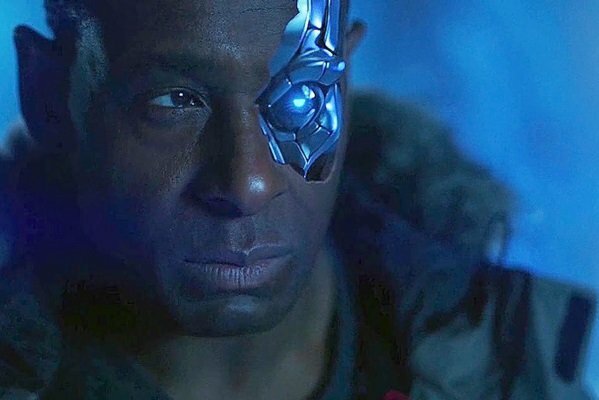 Seriously, Harewood’s ability to play an absolute badass and to juxtapose that by showing a softer side when conveying the loneliness that comes with being the Last Son of Mars – as well as the affection he’s developed for his new “family” – always makes for good television. What hasn’t gone as smoothly, however, is the other role he’s taken on, that of Hank Henshaw/Cyborg Superman. For those unfamiliar, Henshaw went missing years ago, and J’onn assumed his identity. This past season it was revealed that Henshaw is not only still alive though, but that he’s had some cybernetic enhancements as well. Supergirl returns for its third season on Monday, October 9 on The CW. Will you be tuning in? Let us know in the usual place!